Non-linear Video creates an interactive video experience. Objects are clickable and are enabling your audience to explore, shop, learn and play while they watch video. Interactive and time independent navigation opens new ways to enrich video content. The non-linear-video technology is commercially available via Fraunhofer FOKUS spinoff company BitTubes GmbH. Non-linear Video is your one-stop shop for interactive content. Our technology opens up new ways of interaction between the content and your target audience. Clickable objects turn the raw video content into an interactive video surface. The viewer decides what kind of information and level of detail he wants to receive in addition to the video. Therefore non-linear Video supports a variety of supplemental content as video, audio, images, text, documents up to seamless integration of web contents and social media. Video content, enriched with such kind of features, increases viewer retention, engages and entertain viewers and allows for advanced storylines and character development. Designed as a cloud-based all-in-one solution, non-linear Video serves a comprehensive set of features for a wide range of target platforms, devices and applications. Our technical concept is entirely based on open Web technologies to allow a maximum of flexibility, platform-independence, and portability. 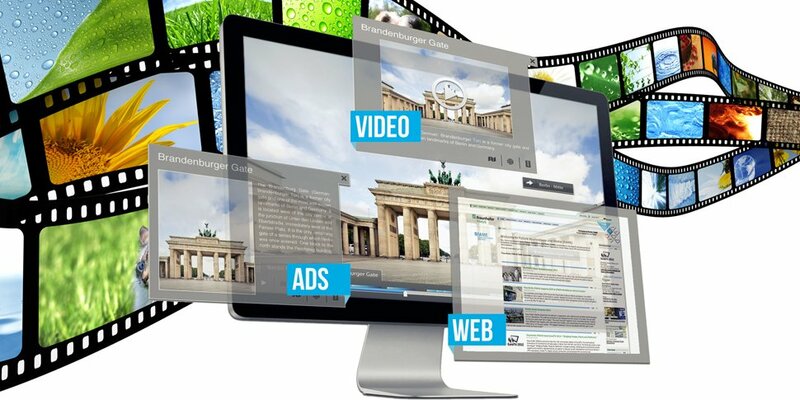 The NLV CMS provides a web-based platform to create, manage, author, distribute and monetize interactive video content. Seamlessly integrated into our NLV CMS, the interactive video editor allows users to add interactivity to each video. Using the HTML5 based tool, users can easily add clickable tags, frames and dynamic shapes. Our players are designed for cross-platform usage and are available for all major devices and browsers including Web, Mobile and SmartTV through HTML5, Flash, iOS, Android, CE-HTML, and Mediaroom.